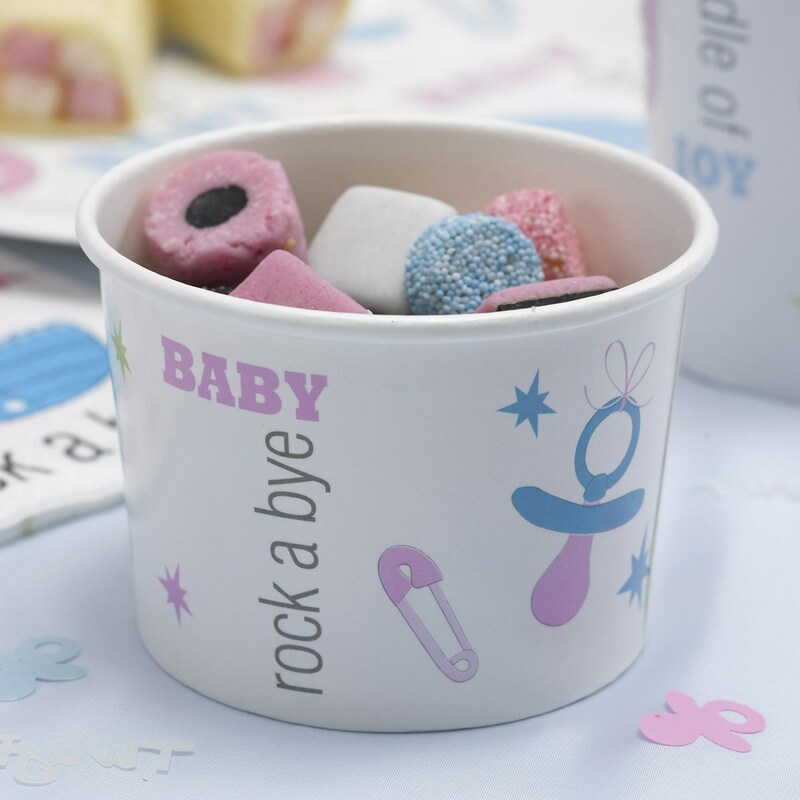 Treat your guests in style with treat tubs from the Tiny Feet range ideal for Christenings, naming ceremonies and baby showers, featuring a distinctive, unisex design. The treat bowls can be used for sweets, savoury nibbles or other treats such as ice-cream or jelly, and feature a white background emblazoned with pink and blue baby motifs. Each pack contains 8 Treat Tubs.